"Our research has revealed a critical immunological axis that initiates the development of cancer-promoting chronic inflammation," says Shawn Demehri, MD, Ph.D., of the MGH Center for Cancer Immunology and the Cutaneous Biology Research Center, senior author of the report. "This axis is chronic inflammation's 'Achilles heel,' and blocking it promises to prevent cancer development in chronic inflammation, which accounts for almost 20 percent of all human cancer deaths worldwide." Types of cancer associated with chronic inflammation include inflammatory bowel disease-associated colorectal cancer, hepatitis-associated liver cancer, gastritis-associated stomach cancer, and skin cancers associated with several inflammatory diseases of the skin. The authors note that the activity of certain immune cells—including Tregs, type 2 T helper cells and macrophages—distinguishes cancer-inducing, chronic inflammation from acute inflammation, which is characterized by the actions of killer T cells and natural killer cells, which protect against cancer. In their search for factors that may contribute to the transformation from acute to chronic inflammation, the researchers regularly applied an irritating substance to the skin of mice. 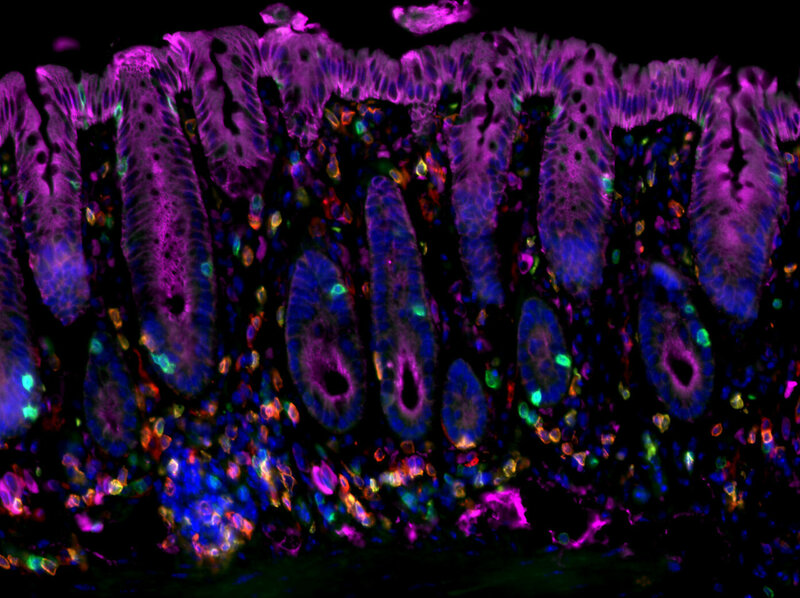 They observed an increase in the expression of IL-33—a factor known to alert the immune system to tissue damage and to have a role in allergic reactions—immediately preceding the transition from acute to chronic dermatitis. The presence of IL-33 was found to be required for this transition, and blocking the expression of IL-33's receptor molecule on Treg cells was found to prevent development of skin cancer in animals with chronic dermatitis. "We now know that this IL-33/Treg axis is an initiating event in the development of cancer-prone inflammation and that the inhibition of that interaction can prevent inflammation-associated cancer in mice," says Demehri, an assistant professor of Dermatology at Harvard Medical School. "Now we need to determine the efficacy of IL-33/Treg blockade for preventing cancer in patients with chronic inflammation and to test the role of that blockade in cancer treatment more broadly. We're hopeful that our findings will help reduce the risk of cancer for patients with chronic inflammatory diseases worldwide."